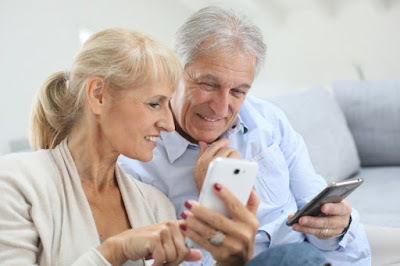 If “seniors” and “technology” are two completely unrelated words for you, with the advent of smartphones, things can be put into perspective and a strong relation can be setup between them. It’s not just smartphones that are improving the lives of seniors - as technology becomes more affordable and accessible, more and more people are bringing it into their homes and their lives to help with many different issues. Of smartphone owners aged 65 and above, 82% see their device as ‘freeing’ rather than a leash and a valuable tool for connecting and communicating. Over 50% of people aged 75 and over live alone, and similar percentages report feelings of isolation and loneliness. For seniors, it’s often hard to get out of the house and communicate with people - but this is one area where technology can help. There are already many online networks targeted at connecting seniors, either in virtual senior centers or helping them to find people locally who they can meet up with in person. The way we get from A to B is also set to undergo a revolution in the next few years in the shape of driverless cars; a potentially invaluable development for seniors who would otherwise feel cut off when they have to stop driving. Staying connected and social is vital for wellbeing in later life, making these developments really important. Wearable items which track vital functions within the body are a current buzz in the fitness market but are just one of the many devices that have potential in being developed for seniors. They provide a relatively cheap and easy way to keep track of important health statistics such as blood pressure and heart rate. They can also be set up to give alerts and reminders to take medication, or even act as a panic button and GPS tracker for more stressful situations. This advancement in technology for the senior market is certainly an area to watch as the baby boomer generation continues to live longer and becomes more tech-savvy. One ambition of many seniors is to retain their independence and remain in their own home as they age. By improving a house with smart devices, that’s becoming a real possibility for more and more people. Seniors with mobility issues or problems with fine motor skills can use smart, and often voice-activated devices to control lights, heating, appliances, and even curtains. This can help eliminate extra trips up and down stairs or moving around in the dark. Smart homes can also be fitted with cameras which are accessible by family or carers, to enable them to check up if there’s a problem. It’s all about making seniors feel safer and retaining their independence. Technology is making that possible.